Notes: As with so many things to do with the history, development and culture of China, Korea and Japan, the situation is not well defined and each has influenced the other. 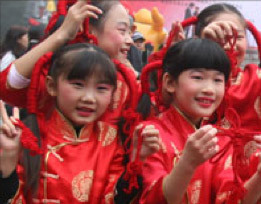 That being said, it is generally agreed by experts in each nation that decorative knotting traditions probably began in China. Archaeological records derived from bronzes, statues, carvings, paintings, and (in one important case) clay moulds (205BCE) show that decorative knotting was definitely a thriving and noteworthy craft by 475 BCE. The art developed during the Tang (618 - 709) and Song (960 - 1279) dynasties and flowered during the Ming (1368 - 1644) and Qing (1644 - 1911) dynasties. 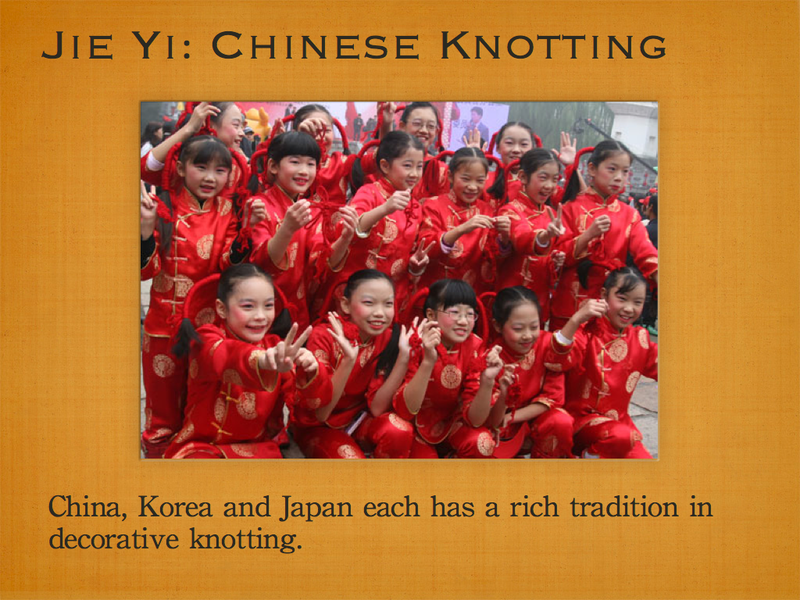 Text: China, Korea and Japan each has a rich tradition in decorative knotting. Annotation: I can't find the original file for this image. I may have been cut and pasting directly from the browser at this point. If I had to guess where I got it, I'd say China View/Xinhua Daily News but that's just a guess.